Most species of dolphin thrive in temperate and tropical salt water around the world, though some species, such as the rapidly disappearing river dolphins, live in fresh water. Most saltwater dolphins stay in shallow areas of the sea found along the continental shelves. Although found mostly in warmer waters around the world, their habitat is diversified due to food accessibility and environmental factors. 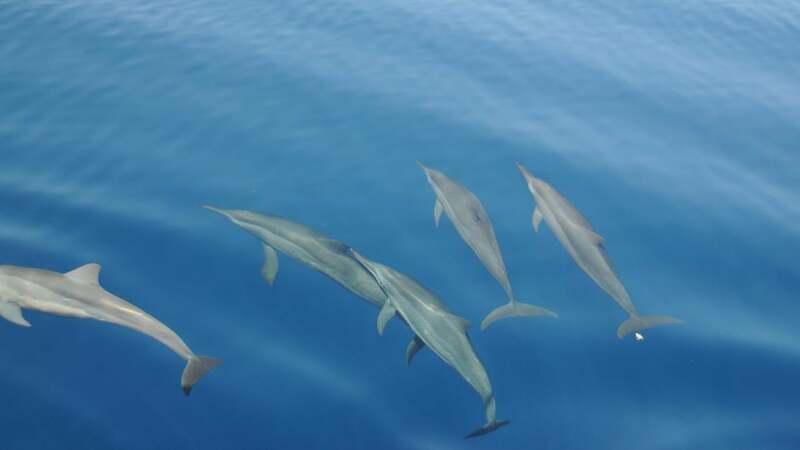 Scientists classify bottlenose dolphins as coastal or offshore ecotypes. Coastal dolphins thrive in warm shallow waters, and they are normally seen in harbors, bays and lagoons. Offshore dolphins, however, are adapted to living in colder waters. The killer whale, which belongs to the oceanic dolphin family, lives in the freezing waters of the Arctic and Antarctic regions as well as in tropical seas. The most common and familiar dolphin, the common bottlenose, is found in temperate and tropical waters worldwide. The bottlenose is the most common dolphin species along the North American coast but is widespread in the Pacific Ocean. It also is found in the Mediterranean Sea and Black Sea. Bottlenose dolphins are limited to areas with surface water temperatures between 10 and 32 degrees Celsius.